The Lee County Strikers 2004 girls team has been invited to compete in the prestigious Cordial Cup in Kitzbühel, Austria in June, 2019. We are raising money to cover the expense of travel for the girls. Coming off of a stellar 2017-18 season that saw the girls complete an undefeated regular season, capture the Florida State President's Cup Championship and play their way into the Region 3 President's Cup Semi-Finals, an invitation was extended for them to have an opportunity to compete on the world's stage at the Cordial Cup in June. This is a 'trip of a lifetime' for many of these girls. All proceeds from this event will support the travel and associated expenses for the team on this amazing trip where the girls will face off against opposing teams from 14 different countries in the Austrian Alps! Please help support if you are able. Thank you for your support! 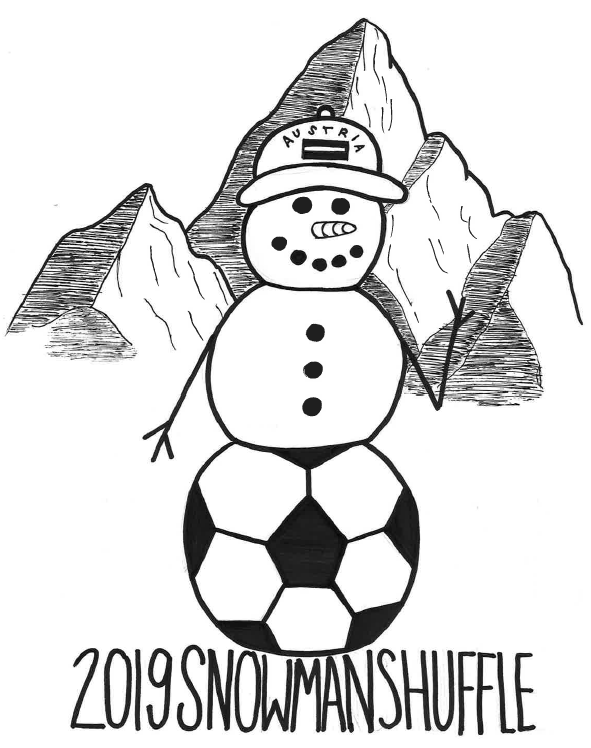 Welcome to the 2019 Snowman Shuffle! Join us for a fun run/walk to support the Lee County Strikers U15 Girls Team. All proceeds from this event will help offset the travel expenses for the team to travel to Austria in June to compete in the Cordial Girls Cup Soccer Tournament. Come out for early packet pick up and hang around to watch the girls practice and scrimmage as they prepare for the second half of their undefeated season in the Florida State Premier League. Runners will traverse a 5k course winding through beautiful Lakes Regional Park. Walkers will meander along a lakeside course of their own. Parking is complementary on-site for all runners.